After doing the grip activity using the Arduino with the Troy Middle School students, the RPI Studio V team consisting of Sara Bischof, Brooke Hayden, Casey Szalewicz, and Zining Liang wanted to work with the students again. In order to do that, they connected with Troy Middle School Life Science teacher Jeffery Carminati and set up a time and date to come into his Life Sciences class and do another activity. In the previous activity, the PDI students enjoyed the kids but felt that they could integrate the activity to align with the current curriculum. The goal of the activity was to bring two expertise’s together: middle schoolers and life sciences and PDI students and prototyping. Both the PDI students and middle schoolers brought a large range of expertise to the classroom. These experiences were vastly different due to age and education which created the innovative space to explore. The PDI students, and specifically the Studio V group, has strong expertise in engineering, design, design thinking, the design process, and prototyping. These skills were embedded into the toolkit created for the middle schoolers. The prototype, along with the presence of the students during their activity, was the essence of the project and contributed to both it’s successes and failures. The middle schoolers brought a completely different set of skills and expertise to the life sciences activity. They had just learned about cells in their class and also experience the ups and downs of middle school on a daily bases. 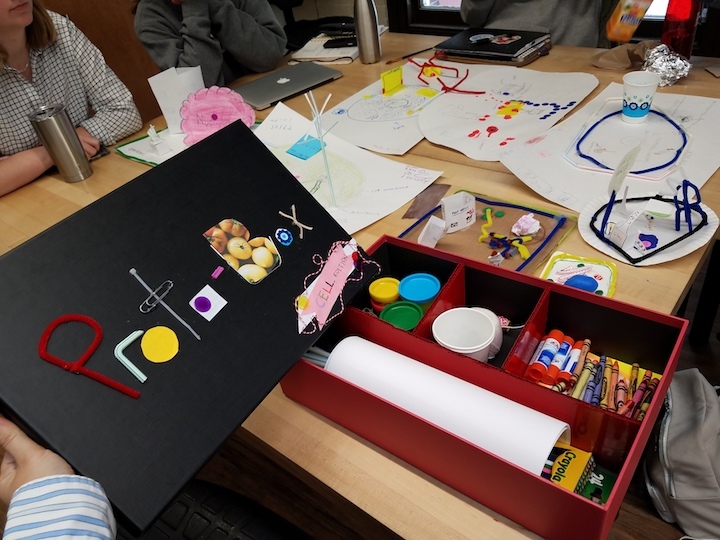 Using the culmination of both students skills and expertness, the PDI students developed a prototype about prototyping using cells as the framework. The PDI students hope to learn about education and prototyping while providing a fun and educational experience for middle school students in a typical, public middle school setting.